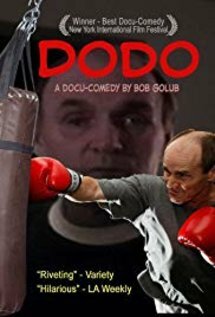 Bob Golub's Dodo is a sports themed autobiographical portrait of the artist as a member of a dysfunctional family. The film, like the one-man show that it's adapted from, takes its title from the nickname of Golub's abusive, alcoholic, beloved father. Golub, a stand-up comedian from Western Pennsylvania, has constructed his film out of the fragments of a life-long effort to come to terms with his upbringing.